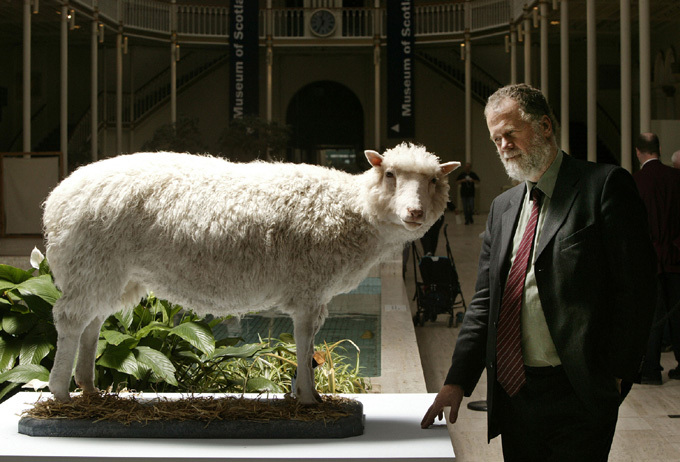 The most famous sheep in the world currently resides in a display cabinet at the National Museum of Scotland. 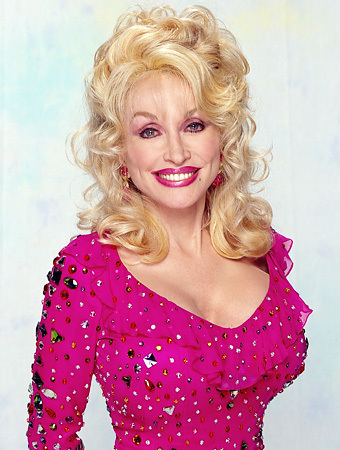 Dolly became internationally famous in 1996 as the first animal cloned using a nucleus from an adult animal. Cloning experiments had been going on since the 1950s but previous to Dolly only embryonic cells could be used as the source of the donor DNA. The technique used to make Dolly was given the catchy title somatic cell nuclear transfer. A nucleus was taken from an adult cell in the udder (somatic cells are any cells whose DNA will not be inherited to the next generation) and this was fused with an enucleated egg cell (an egg cell which has had its nucleus removed). This cell contains the nuclear DNA from the adult donor but will divide and develop into an embryo. The embryo can then be implanted into the uterus of a surrogate sheep for it to complete its development. You can see that three sheep (all female in this instance) were used to produce Dolly. 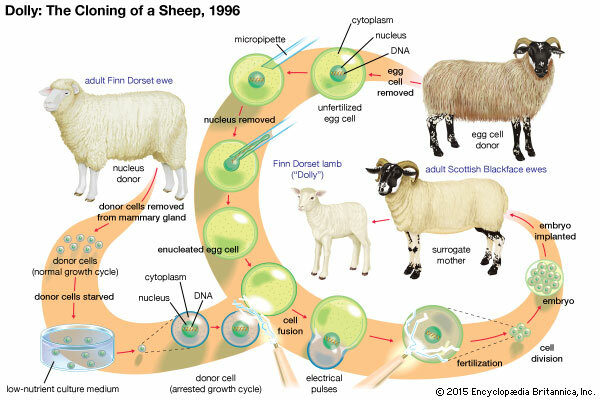 The tissue cell donor provided the udder cell and all the nuclear DNA for the cloned sheep. A second sheep provided the egg cell which was then enucleated. And finally a third sheep acted as a surrogate mother and so provided the uterus in which Dolly would develop to birth. The researchers cleverly used three breeds of sheep so they could check that the various processes all worked correctly. If researchers combine this “Dolly technology” with the ability to genetically modify the embryonic cells produced, then it will be possible in the future to produce cloned transgenic animals. 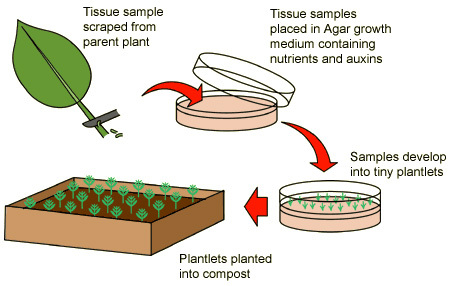 A transgenic organism is one that contains DNA from more than one species. A second potential application could be to use cloned animals that have been genetically modified as potential donors for medical organ transplantation in humans. You all know that in most developed countries there is a shortage of organs for transplants to patients who need them. Added to this is the fact that the recipient’s immune system will recognise the donated organ as ‘foreign’ and so mount an immune response against it. This rejection can be combatted with immunosuppressant drugs but these have nasty side effects. Imagine if a replacement organ could be grown in a cloned animal for you, and this organ could express your own surface protein markers on its cell membranes. No problem with shortage of donors, no problems of rejection! Pigs are being used in research at the moment as pig abdominal organs are very similar in size to humans…. Here is a newspaper article looking at another possible way cloning technology could be applied to organ transplantation. This is a great 3 min video from the new “Hay Levels” Youtube channel. Interesting links to iGCSE Biology sections on animal cloning.